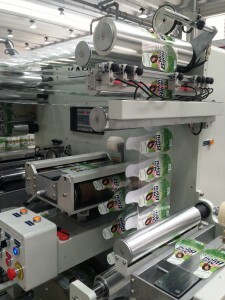 Mack Color, leading manufacturer of labels in Brasil, installed a Slitter-Inspection KSI-Prolabel 350 for pressure sensitive rolls with Liner PET, a new trend in the market for the food and beverage, cosmetic and pharmaceutical segments. “The KSI-PROLABEL 350 is a very productive and high performance equipment, developed with a Servomotro system that allows for an easier operation. The slitter-inspection works with multiple types of substrates”, says Mack Color Team. With this new inspection equipment, Mack Color labels will have greater accuracy as the quantities of labels for reels and review security of self-adhesive labels.